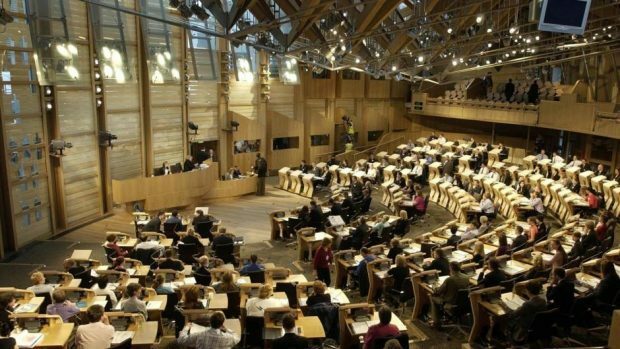 Time to mail council keys back to Holyrood? Who would be a councillor? Sure, the position’s often rumoured to come with lots of payments, perks and privileges. But even if these tales were true, and they aren’t, the job would be the worst in politics. Because it has been stripped of what gives point to being in politics at all. People go into politics, with some self-seeking exceptions, to make things better – in their community, their locality, their country. Of course what’s meant by “better” in this context can vary a great deal. The Tory definition of improvement is unlikely to coincide exactly with what the same word means to socialists. But neither side, no side in politics, gets much joy out of making matters worse. And that’s where councillors now are. The spending choices put before them are invariably negative. To pare down the bin collection so they can fill some potholes or maybe save a local school. To axe a library, or two or three or half a dozen, so they can sustain the care provided for the elderly. All that’s on offer is a pick and mix made up of nothing but bad options. It wasn’t always so. Councillors could once do things that now they can’t even dream about. Way back, for instance, Aberdeen Town Council could happily embark on the task of building an entirely new city on top of the old burgh by bridging the Denburn gorge and so opening the way for the construction of a mile-long Union Street. Nearer our time, starting in the 1960s, Inverness Town Council managed to overcome all obstacles, financial and otherwise, in the way of the council’s wish to have, on a prime and central site, a first-class performance venue. The outcome was Eden Court Theatre, still one of the sparklier jewels in the Highland capital’s crown. Nothing of that could happen today. Inverness’s centuries-old town council is no more. Instead the place is just one component of a gigantic Highland Council area, nearly as big as Belgium, that stretches from Kilchoan to John O’Groats – places separated by a long day’s drive. To have this mega-council where there were lots of small ones might be acceptable if it had powers commensurate with its size. But it doesn’t. Like every other such organisation, Highland Council is more cash-strapped, more hedged about with controls and constraints, than Inverness Town Council ever was. The Highland Council of 2018 could no more put in place an Eden Court Theatre than its Aberdeen counterpart could lay out a brand new Union Street. This is not the fault of councillors. No councillor enjoys making employees redundant, slashing grants to theatres (as has been done to Eden Court), hiving off swimming pools or shutting down a public toilet and obliging some poor tourist to relieve themselves behind a tree. Councillors make these cuts because they have no alternative. And they have no alternative because they’re the victims of a 40-year-long assault on local government conducted by our national politicians. This assault had its origins in Conservative prime minister Margaret Thatcher’s determination to curtail the influence wielded by Labour-run municipalities like Liverpool. But the council freedoms then taken away – notably the freedom to determine local priorities and the even more crucial freedom to raise the cash it took to deliver these priorities – have never been restored. Not by the Labour government that took office in London in 1997. Nor by the various administrations that have held sway at Holyrood since Scottish devolution took effect in 1999. Ask the present Scottish government why its ministers keep councils in so restrictive a straitjacket and you’ll be told the explanation is to be found in the Holyrood parliament’s own reliance on an allegedly ungenerous block grant from Westminster. Come independence, it’s said, things will be different. But why wait? All the powers a Scottish government could ever need to rejuvenate councils – including the power to replace council tax and business rates with something better – are to hand right now in Holyrood. What’s missing is the will to use them. This lack of will is all the more striking because Holyrood’s ruling party, the SNP, talks all the time about a Scottish future modelled on Norway and other continental nations. If this talk were to be acted on, and it could be acted on tomorrow, we’d have many more councils with many more responsibilities. That’s because, in most European countries, a “local authority” is just that. It’s local and it has authority. Here, in contrast, councils aren’t local – they’re more commonly remote. And much of their authority, in the sense of having real control of budgets and agendas, is long gone. Yesterday’s column, “Modern Manners”, was attributed incorrectly to Jim Hunter. It was actually written by former Aberdeen City Council leader Len Ironside. We apologise for any confusion caused by our mistake. Both of their columns can be viewed on our website.